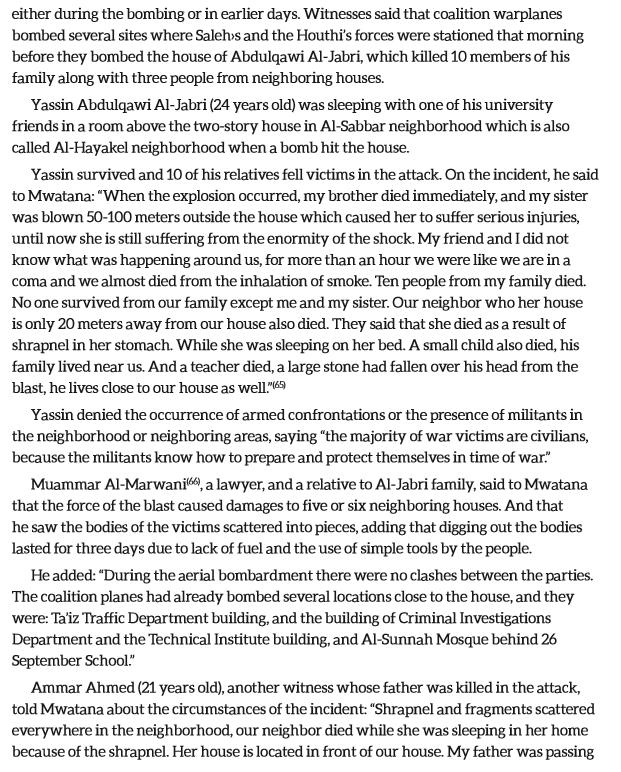 On 11th May 2015, 13 civilians, including 8 children and 3 women were killed when the Saudi led coaltion hit a residential area in Al-Dahi Valley in Al-Muthafar District west of Ta'iz city. 6 others were injured including 3 women and 3 children. 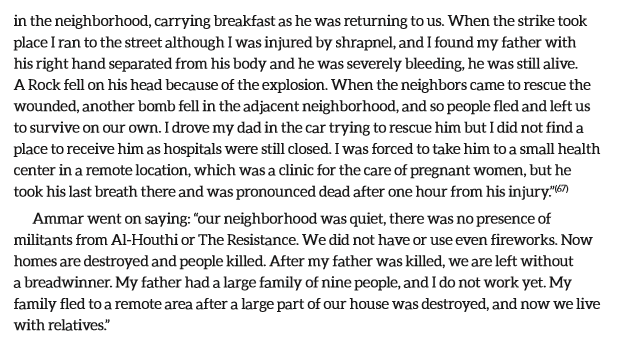 Jets returned to bomb the area just 250 meters away causing rescuers to flee, leaving victims to fend for themselves.